Years ago I read Zecharia Sitchins books. Sometimes referred to as The Earth Chronicles Series, these books sparked my curiosity for alternative historical perspective. Suddenly my mind was opened to new concepts I could understand. A plausible solution regarding my ‘how we got here’ questions left unanswered by modern education. I am not saying I believe ALL of everything I read, however I look for correlations. In these books I began to notice something odd in the Sumerian depictions. Recurring pictures of eagle headed men carrying small bags or what seemed to be, by my modern woman’s mind, to be purses. The men also had small ‘pine cones’ in their hands, and floral watches. Sometimes there was a ‘tree’ of sorts in the midst of these beings. Other times There were flying winged like things, AHURA MAZDA like, as well as Dolphins! Fish man Oannes with purse. Watches, but a scroll, no pine cone. Just as a quick aside I found out that the god Oannes the fish head god is the inspiration for the Popes Mitre. Check it out 🙂 Fish eye and all. Another purse too. Fish Hats and Rods powered by purses. Ok…moving on. Central American ancient OLMECs had PURSES. I noticed this stone carving from La Venta. To me this is a depiction of a man sitting inside what the artist depicts as a powerful Snake or Dragon type technology. He has a helmet on and he uses his PURSE on the dashboard to power up his ship. So is his purse a ‘battery’ pack ? Helmets of the ancients ? The guy powering up his ‘snake mobile’ craft is an OLMEC artifact from Central America, showing the same technology as in ancient Sumer. Gobekli Tepe Archeological site in Turkey. This site dates back to over 11,000 ago. All of a sudden what do I see on top of one of the pillars ???? Three PURSES !!!!! OMG Are those depictions of current under them ??? Purses at Gobekli Tepe. Oldest Temple complex ever discovered. Chris’ idea that the pyramids could be part of a network of power generators using a natural forgotten science, was the link my mind needed. Suddenly I saw an ancient Wi-Fi type of system. A free ‘Tesla technology’ perhaps that a lost global culture enjoyed. All one would need was THE TOOL to tap into the free energy grid. So much more than a battery pack then. Or perhaps just a “Domain” technology. Once I stumbled upon the description of these purses in Matilda MacElroys material I was again stunned. Her information is gleaned from a being the Army captured in the 40’s. In this document one can read the ancient and more recent recounts of Earth’s history from the perspective of The Domain who have been ‘at war’ so to speak with what they refer to as The Old Empire. This ‘being’ she interviewed from ‘The Domain’, asserts the eagle men are depictions of Domain members. They are documented here using tools to search for Domain companions lost on a failed mission to Earth. The Old Empire trap conscious beings (IS-BEs) here on Earth. Apparently The Old Empire has some kind of ‘electronic net’ that prevents us from leaving after we die as well as zaps our memory clean. Apparently the ‘unwanted’ from all over the place are dumped on Earth to ‘rot’ in the reincarnation cycle as well. That explains our mixed population. From saints to devils. It is a long story and worth a read. Getting the historical perspective of someone potentially outside Earth culture is invaluable. The eagle men use these ‘purses’ to power their ‘pine cones’ to scan lifeforms searching for lost Domain members, who died here on Earth. Once that happened their ‘IS-BEness’ was reborn here so had their memory erased. These Domain members were then at the mercy of being reincarnated here as any number of life forms. Including Dolphins. Sounds far fetched you think, but when you read it all it is quite interesting. No wonder our many spiritual teachers are trying to get us off the so called Wheel of Karma. Meaning the ability, desire or need to reincarnate here. The Domain originally gave us what we know as the VEDAS for that purpose. No worries. It is said the original version is long diluted away of the potent information, lost in translations and politics over the centuries. IMAGINE IF YOU COULD REMEMBER ALL YOUR LIVES ? THE WISDOM YOU WOULD HAVE ? THE BANK ACCOUNTS. 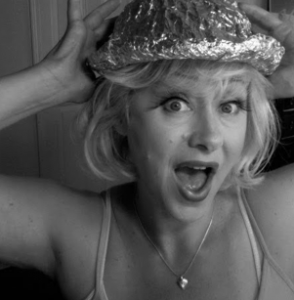 THE BEING MATILDA SPOKE WITH HAD HER MEMORY IN TACT AND COULD RECALL HER EXISTENCE FOR MILLIONS OF YEARS BACK IN TIME. No wonder we don’t seem to learn. Two lions killing a bull. Another type of ancient power purse or tool perhaps ? Two energies and a false? door. Central America is full of Balls. Large and small perfectly round stone balls. I heard a lecture from Hugh Newman on this subject and wondered if my theory about the purses applies also to these mysterious round stones. Hugh mentioned the fact that these stones have been found rarely in situ. However some that were in situ seemed to be associated with the elites’ dwelling. This fact made me suspect them to be like the purses. Were they too a source of power? As we use electricity by plugging in, perhaps the spheres captured the global free energy grid and allowed power to be used locally. The elite of the community would house the sphere. Also there were curved ‘seats’ in a museum that I just wondered about. The underside of some seats art work seemed to reflect energy generation. Inside some of the stones there have been found small dark stones referred to as coffee beans in legend. Perhaps this inner small stone is key to it’s function. 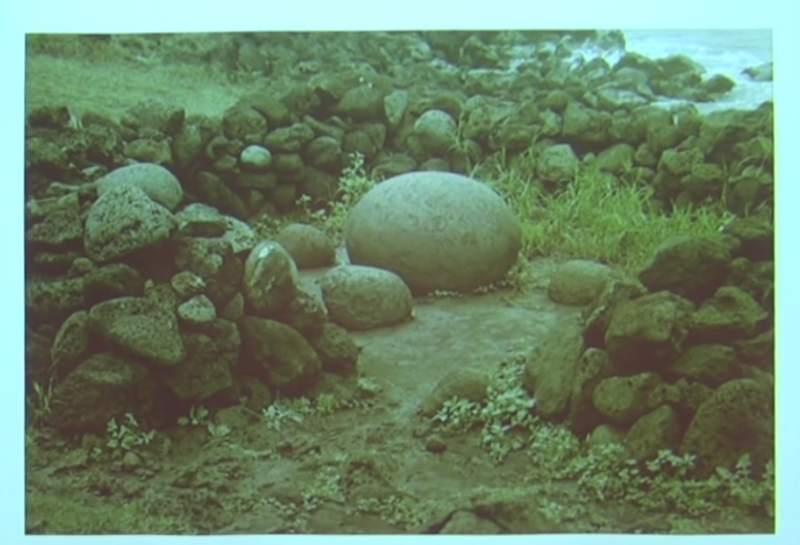 The most sacred object on Easter Island as shown to David Hatcher-Childress was a stone sphere. Please research Chris Dunn and Hugh Newman then tell me what you think. Perhaps a new look at old things is warranted ? Remember what they (JP Morgan?) told Tesla ? Edison won. We pay power bills.